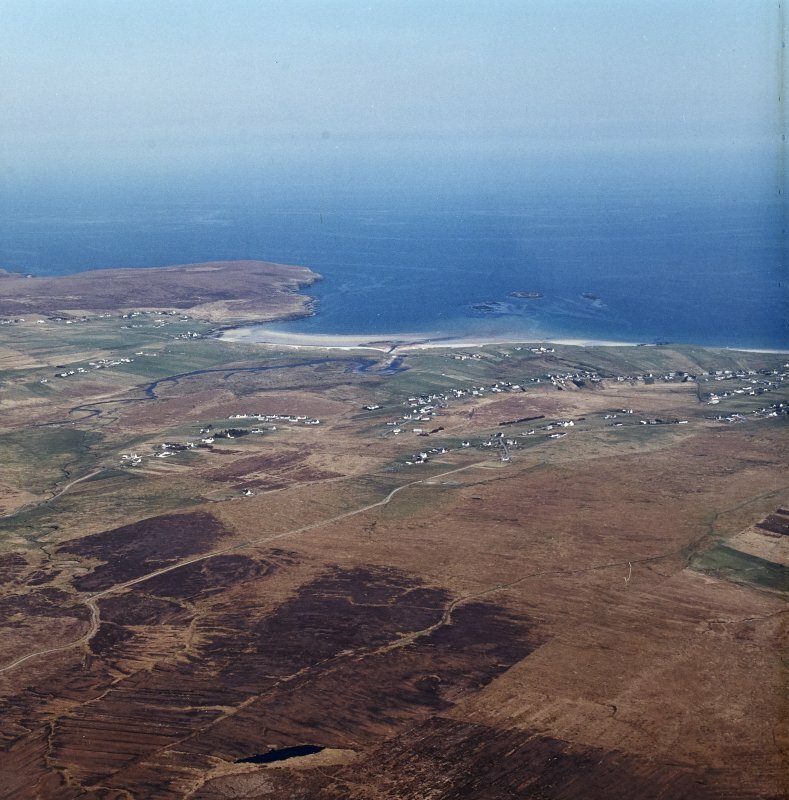 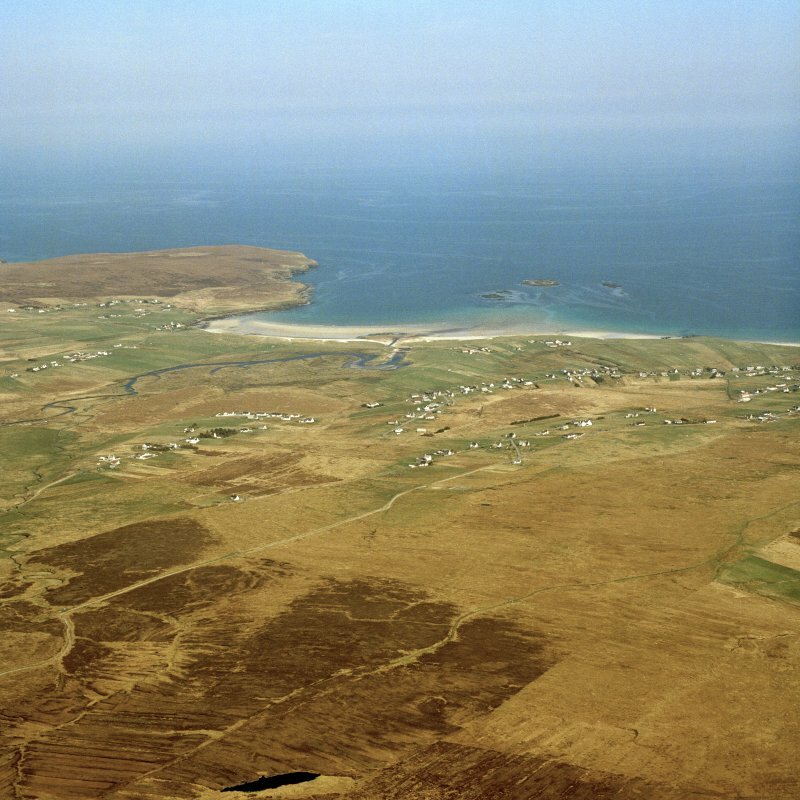 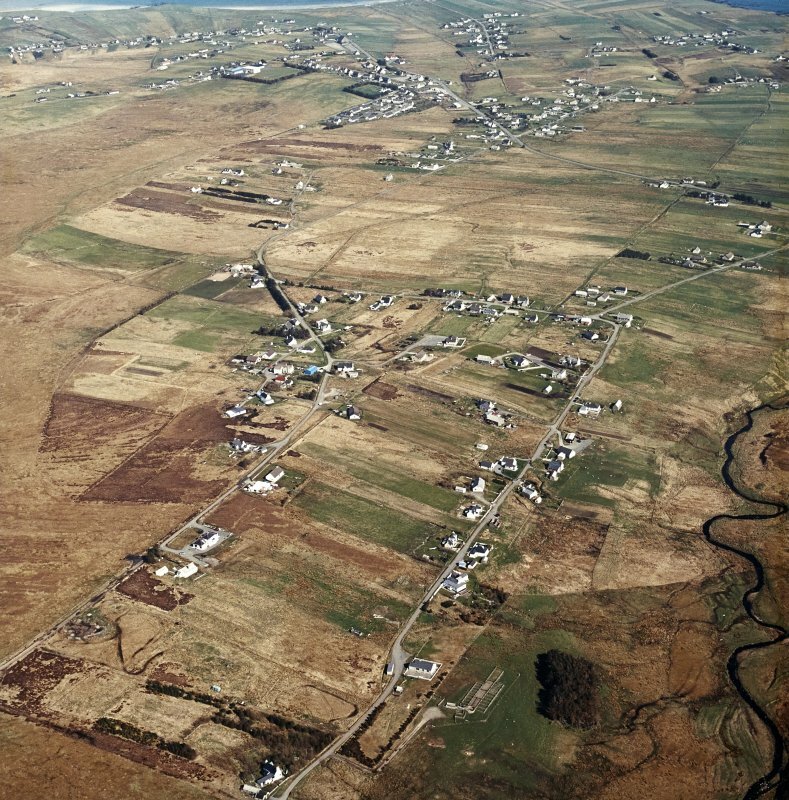 General oblique aerial view centred on the crofting township, taken from the SW.
General oblique aerial view centred on the crofting township, taken from the WNW. 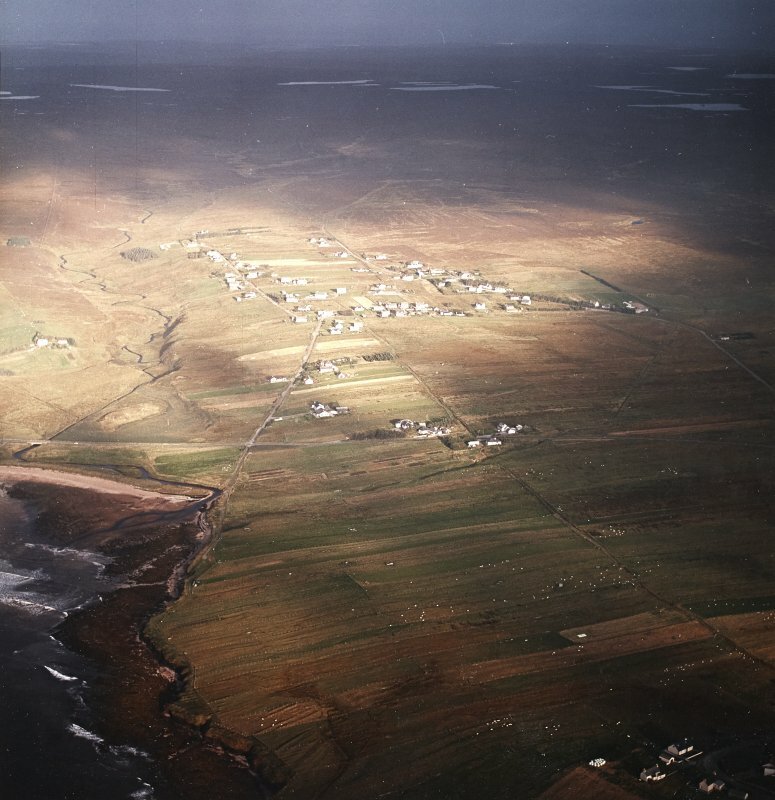 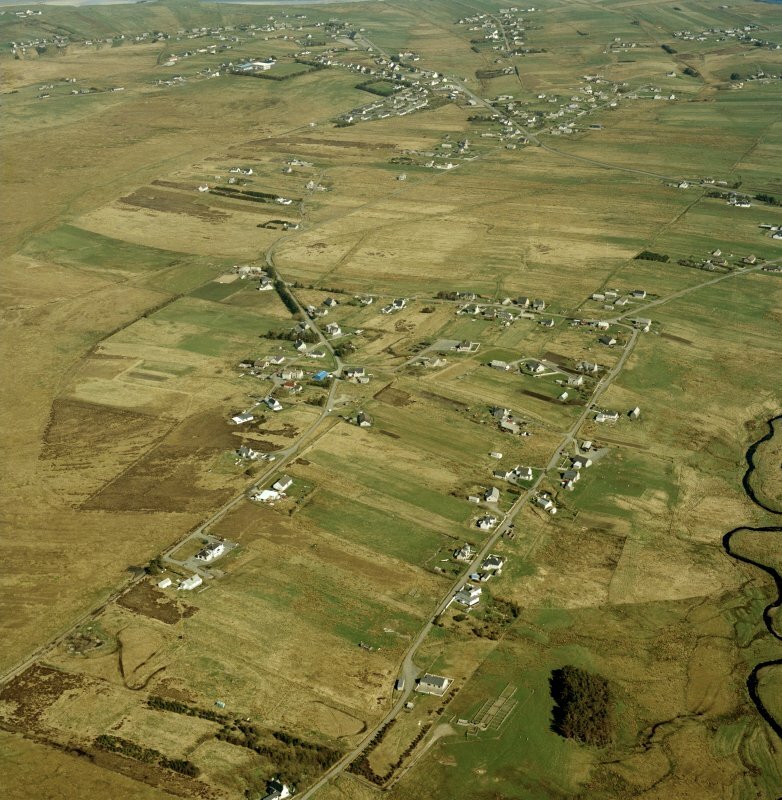 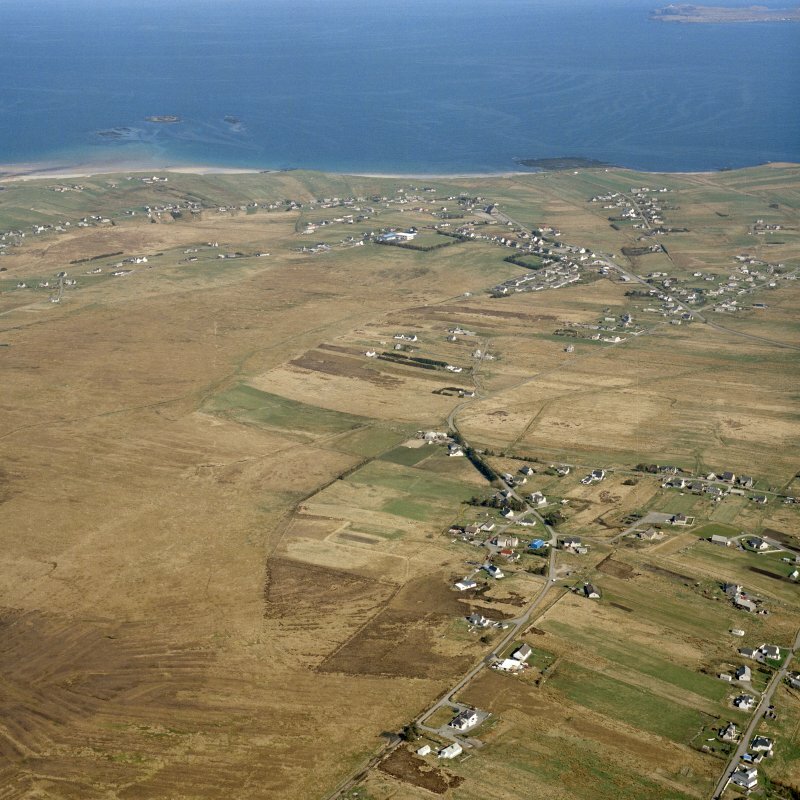 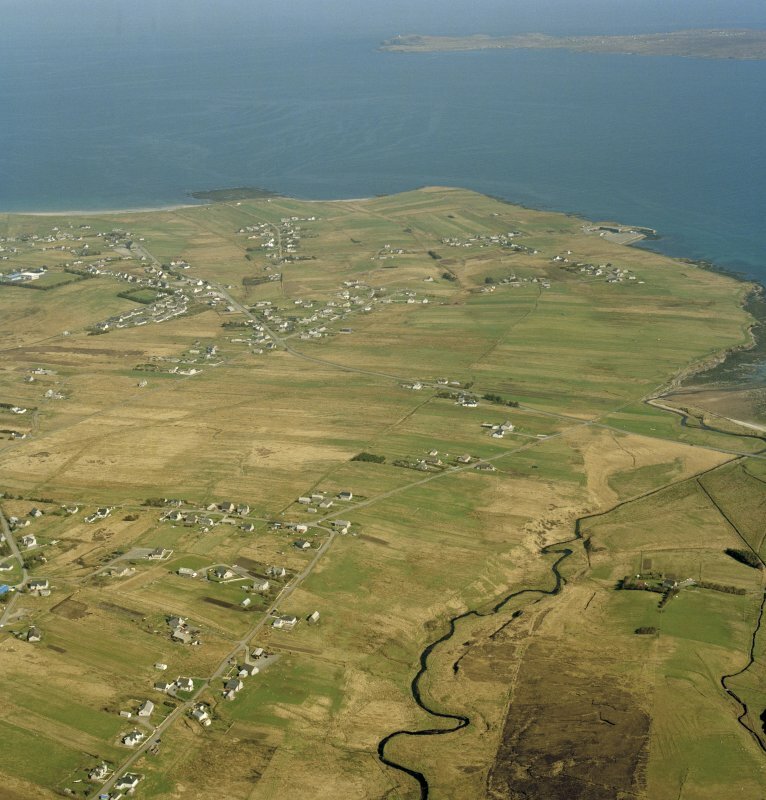 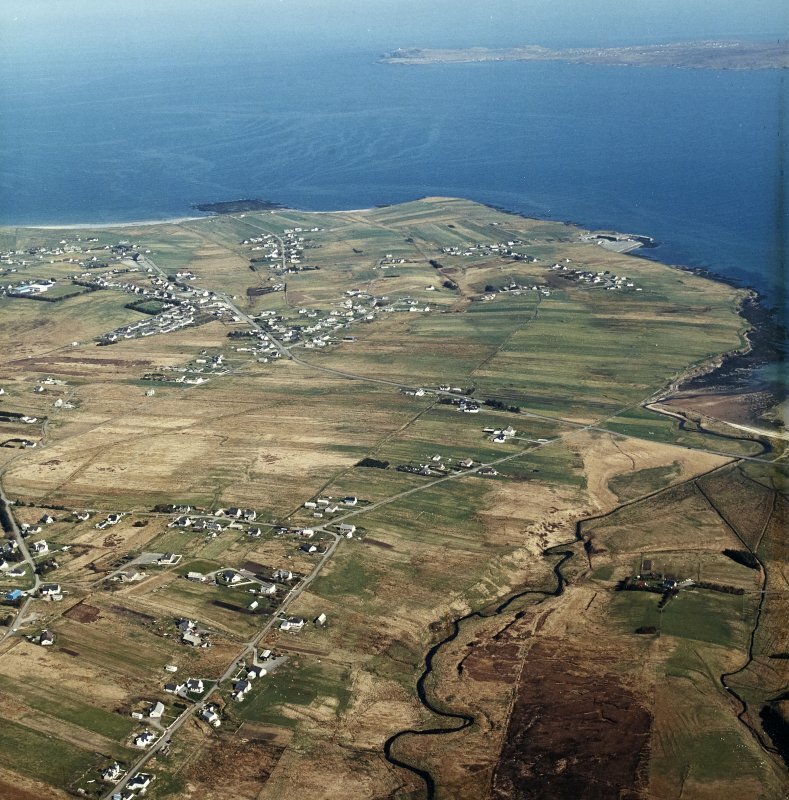 General oblique aerial view centred on the crofting township, taken from the W.
General oblique aerial view of the crofting township, taken from the W.
A large crofting township with two foci of settlement each adjacent to a road, comprises fifty roofed, two unroofed buildings, one partially roofed building and a head-dyke as depicted on the 1st edition of the OS 6-inch map (Island of Lewis, Ross-shire 1852, sheet 14 and 15). 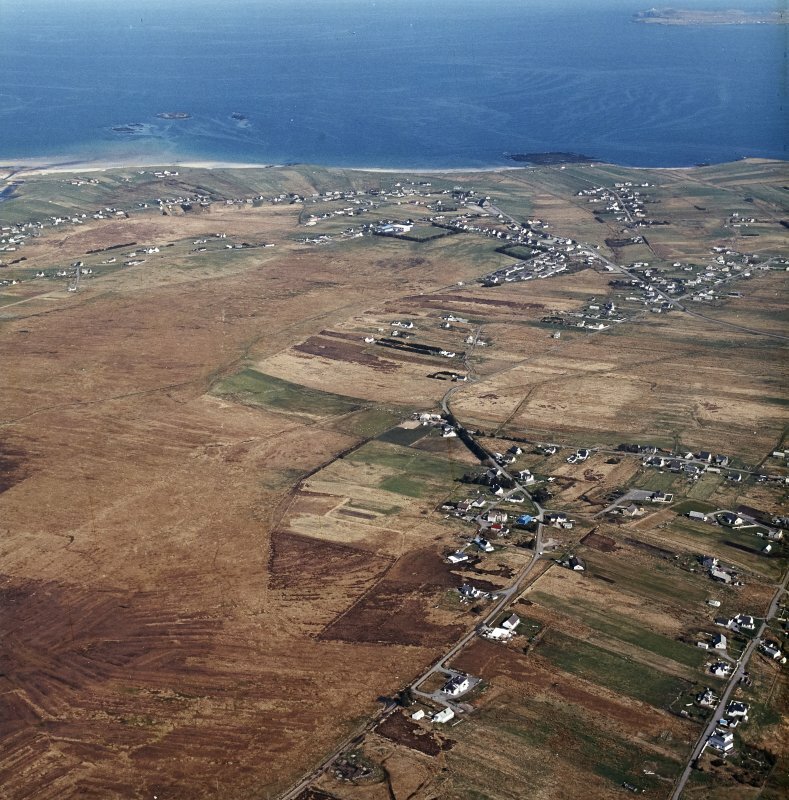 A much enlarged township is shown on the current edition of the OS 1:10000 map (1988). 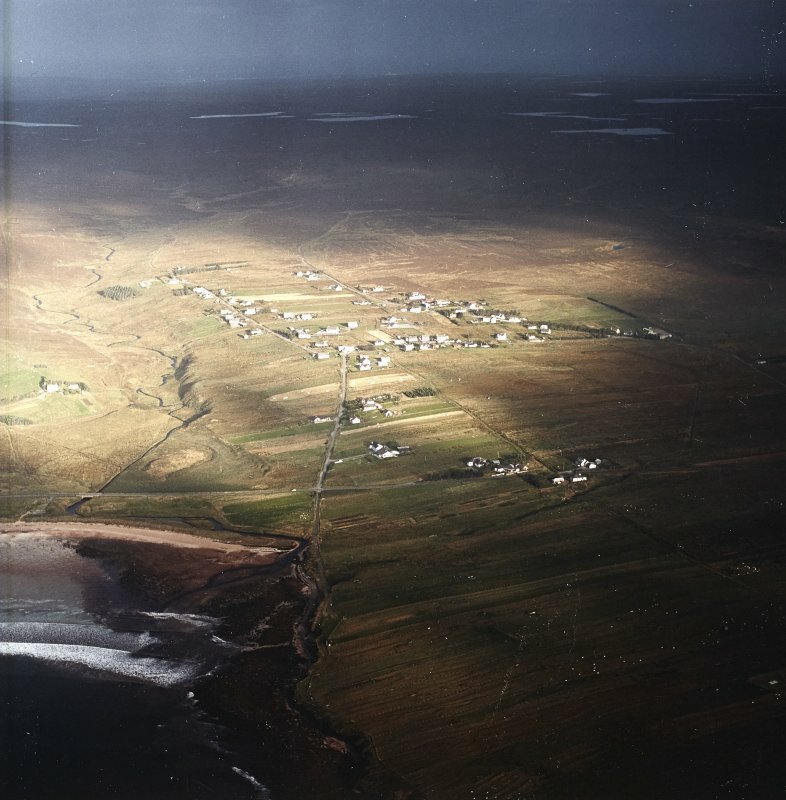 Information from RCAHMS (AKK) 27 June 1997.